Tropical forests are the Earth’s lungs—absorbing CO₂ and releasing oxygen. This project seeks to protect nearly 450,000 acres from deforestation. More trees = more oxygen. This project protects nearly 450,000 acres from deforestation. Since trees sequester carbon pollution, more trees = less CO₂. The Alto Mayo forest is twice the size of New York City but it’s under threat from deforestation despite its protected status. This project provides technical assistance and advice on the ground to transform illegal loggers into organic coffee farmers and eco-entrepreneurs. Local people earn more while taking pride in protecting the forest and its endangered plants and animals and the planet benefits. Bottom Line: Tropical forests are the Earth’s lungs—absorbing carbon pollution and releasing oxygen. By providing new and environmentally-friendly ways for Peruvians to use the forest, this project helps save the CO₂-absorbing rainforest from deforestation. The Alto Mayo forest has a simple formula for planet-saving success: save trees in order to reduce greenhouse gas emissions. By teaming up with the local government and communities the project provides education and economic incentives to the local people in exchange for taking care of the land. With more than 6 million tonnes of greenhouse gases reduced to date, this project is definitely helping to save the planet. It also helps local families and ensures that for generations to come, people will enjoy this precious forest. Norbil was a logger in Alto Mayo who cut trees illegally to support his family. One day he saw a beautiful hummingbird hovering over an orchid. He saw the harmony of the forest in a new way and became determined to stop logging. He contacted this project and they helped him launch a new ecotourism preserve. 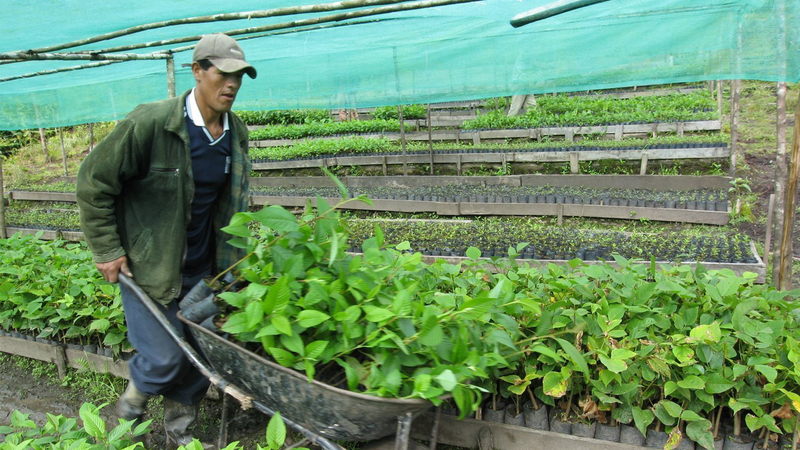 Today Norbil is both a successful business owner and an inspiring forest defender. When we visited this project in 2016, we were amazed to see the real impact of its conservation initiatives. With your help, we’ll hopefully be able to place the entire region under the conservation initiative to stop the irreversible loss to the flora and fauna in this unique biome. We recommend this project because of its success in instilling sustainable and participatory farming techniques in coffee plantations within the protected forest area.